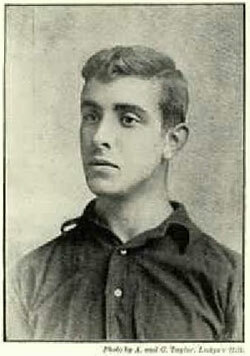 Martin Earp was the younger brother of Teddy Earp. He had a strange agreement with Everton that he would play for them if not needed by Forest and indeed played for Everton several times while a Forest player until joining them officially in November 1891. His final game for them was actually against Forest on Mar 24 1892. His competitive debut with Forest was then against Everton, in Forest's first League game, at Goodison Park.